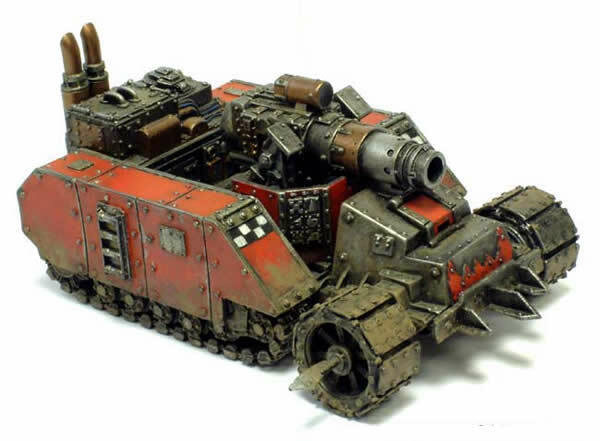 This workbench article is how I painted my Forgeworld Ork Gunwagon. 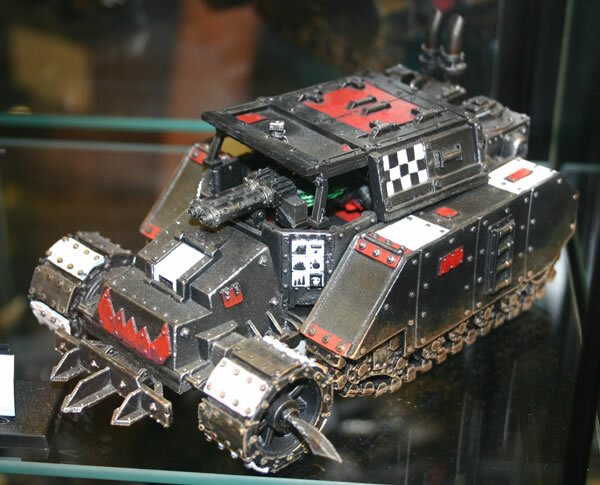 One model I recently purchased having planned to buy one for some time, was a Forgeworld Ork Gunwagon. I purchased the model with the Kannon. Before I think about painting I have taken a look at how others have painted their Gunwagons and there are some nice examples around, but not as many as for some other models. Forgeworld have some nice painted examples on their website. This is the version I have with the Kannon. I managed to photograph a couple of these at GamesDay at the Forgeworld display. This is the version with the Lobba. There are some nice touches. This version is the covered version armed only with a twin-linked Big Shoota. There is a nice model on the Cool Mini Or Not website. I am intending to paint mine in a similar style to my Epic versions. 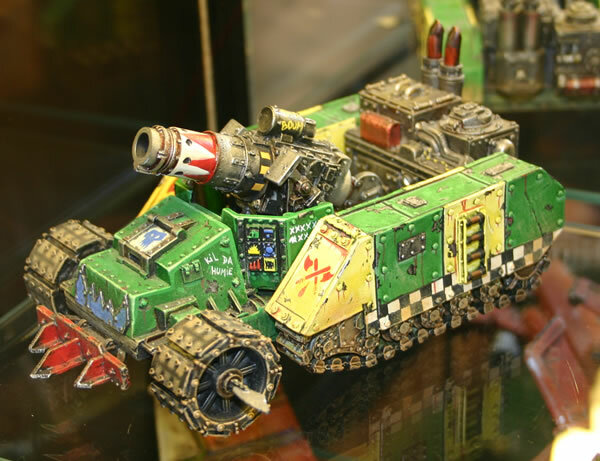 You can find out how I painted my Epic models on my Epic Ork Gunwagon Workbench feature.